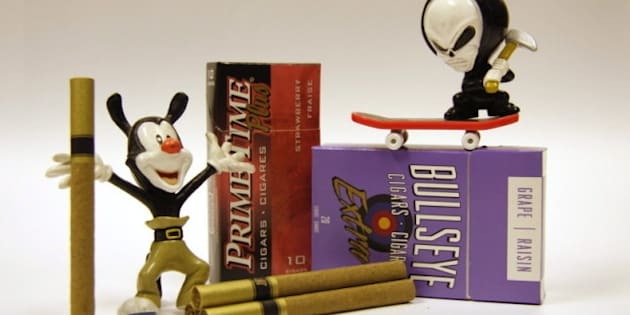 MONTREAL - Health Canada tobacco inspectors have raided three Quebec-based importers and seized millions of flavoured smokes popular with young people. The seizures are the first against importers under the revised Tobacco Act, which prohibits the retail sale of cigarettes, little cigars and blunt wraps in packages of less than 20. The Act also bans certain additives, such as those used to create flavours such as chocolate and bubble gum in the smokes. The seizures took place at warehouses belonging to Casa Cubana in the Monteal suburb of St-Laurent, Groupe Tabac Scandinave in Boucherville, and Distribution GVA Inc. in Laval. More than 25 million of the smokes across 41 product lines were allegedly seized there. Health Minister Leona Aglukkaq says in Ottawa that the measures are aimed at protecting children and youth from marketing that encourages them to smoke.